How to Improve Your Academic Writing with the Right Essay Structure? Can you remember the last time when you listened to a three-year-old trying to tell a story? Do you remember this story well? Can you now recall what you have learned from it? We bet it is hard, because small children usually tell their stories without a clear structure. You might recall emotions, or single words, or a situation, but unlikely the information itself. There is no surprise that, in academic writing, you must always adhere to the solid essay structure. It is essential for your readers to process the information, analyze the message, and store it in memory or act upon it. In this article, we’ll talk about the following: what the essay structure is and to what extent essay structure is important for a student paper. Also, we will look at the ways to plan and organize your text and consider the main elements of an essay’s structure. It is the order in which you set forth your writing and present your ideas. In other words, it is the way in which your narrative is built. It is important to remember that the purpose of your essay determines its structure. It means that different types of writing presume different organization. ✍ readers memorize information better when it is nicely organized. To master your writing assignment, you should be aware of what is good essay structure and how to organize your text properly. There are several ways to plan your essay. The first one is to do mapping, and the second is to create an outline. Mapping is a more liberal method of the two. Here, you sketch your essay by writing down key sentences in a logical order. You might want to start with your thesis statement as an introduction of your topic. It is your central message to the reader regarding the particular topic. In the following sentences, answer the questions like “What do my readers need to know?” and “Why is it important to know?” You might conclude your essay with the answer to the “Where do we go from here?” question. To help you plan your structure more easily, try to follow the “What? How? Why?” formula. According to it, state the topic, explain it, and then address its importance to the reader. To be more precise — provide background information in the “What?” section, present the evidence in the “How?” fragment or fragments, and place your topic in the broader context in the “Why?” paragraph. Another type of planning — a more formal one — is outlining. Here, you should build a skeleton of your paper that contains short names for your paragraphs and main thoughts. It consists mainly of such elements as the thesis statement, key sentences of every paragraph, brief statements of the supporting evidence, and a concluding sentence. You should use Roman numerals and letters of alphabet to organize the elements of your outline. 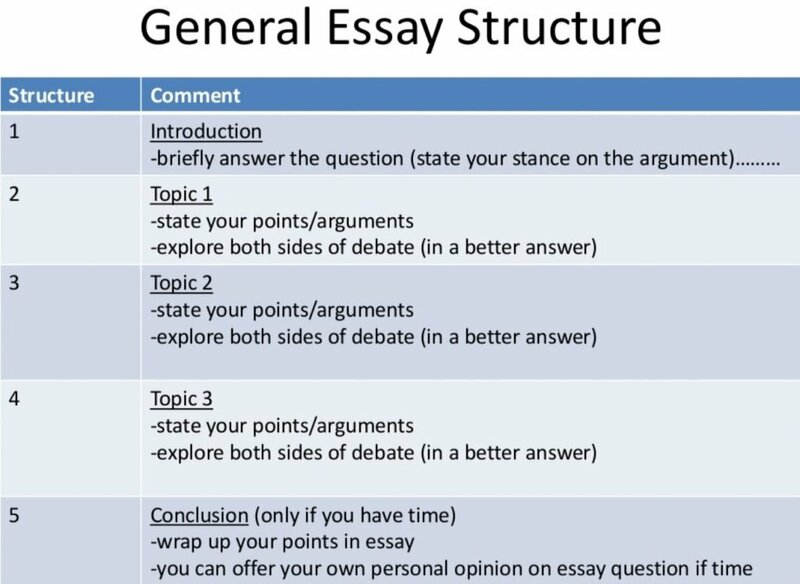 Next, we’ll see how to develop essay structure that fits most of your academic essays. Let us talk about the order, now that you have an idea about how to write an essay structure in English or Humanities. No matter what the subject or topic is, one thing remains clear — any essay must consist of an introduction, body, and conclusion. In that particular order. While you can experiment with the rest, there are some essential guidelines to bear in mind. Let us see them below. Start your introduction with a hook. Provide some stats, describe a life situation, or insert a quote in the beginning — make sure that your choice of a technique is consistent with the purpose of your essay. Next, state your thesis in a sentence or two. Treat it as the most important sentence in the whole paper, to which you will return multiple times. Follow your thesis statement with a sneak peak of your essay, so that the reader gets an idea of what to expect from the text. While the introduction grabs reader's attention and presents a topic to them, conclusion provides a summary of your ideas and arguments. It also creates a bridge between the contents of your paper and the broader context. It leaves the reader thinking about the topic, wanting to explore it more or share the information with others. Organizing your intro and conclusion as suggested above is a proven strategy. Now, how to structure essay paragraphs? The main part of your essay is up to you. But normally, you use it to present your arguments or statements to the reader. One big argument per one paragraph is enough. Therefore, choose your evidence wisely and think of the order in which you will present it. You might try the following pattern: a weaker argument, next a prominent counter-argument and its rebuttal, and then the strongest argument. In order to write a strong essay that grabs your reader’s attention and persuades them, you should think about structure a lot. Apart from the basic elements like introduction, body, and conclusion, there are many other things to consider. For example, the order of your arguments. Moreover, the planning stage is essential. Without a map or an outline, it can be extremely hard to achieve some solid structure. So, think, plan, design, build, and furnish your papers. 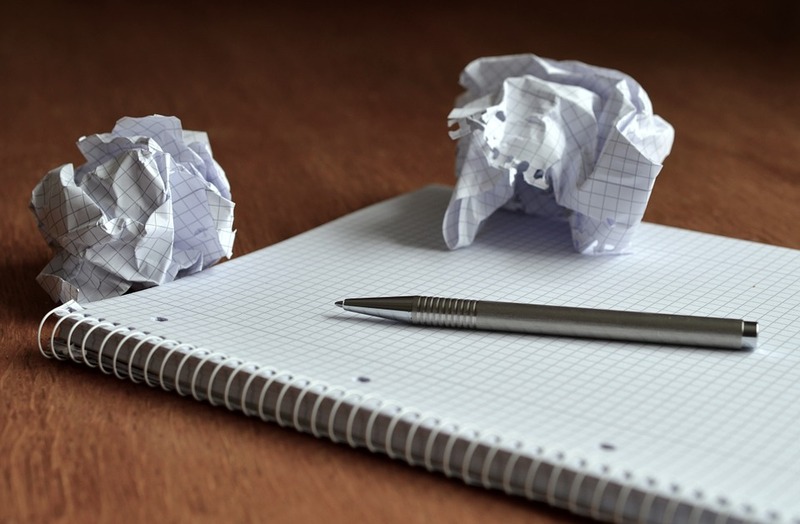 ← What Could Make My Essay Catchy and Awesome?